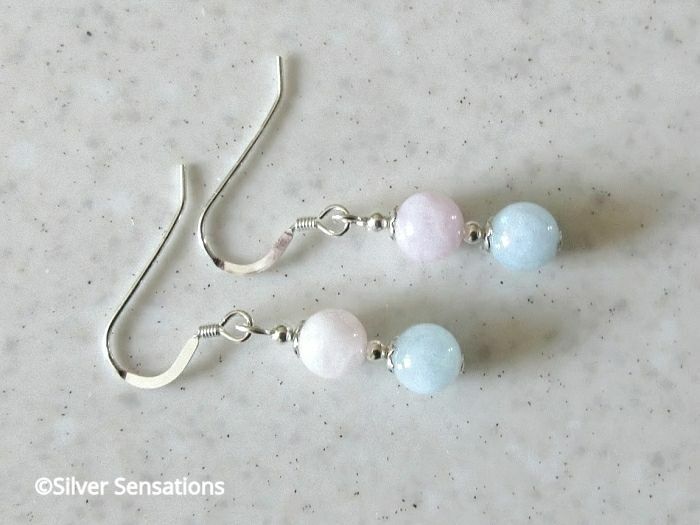 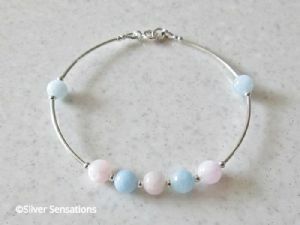 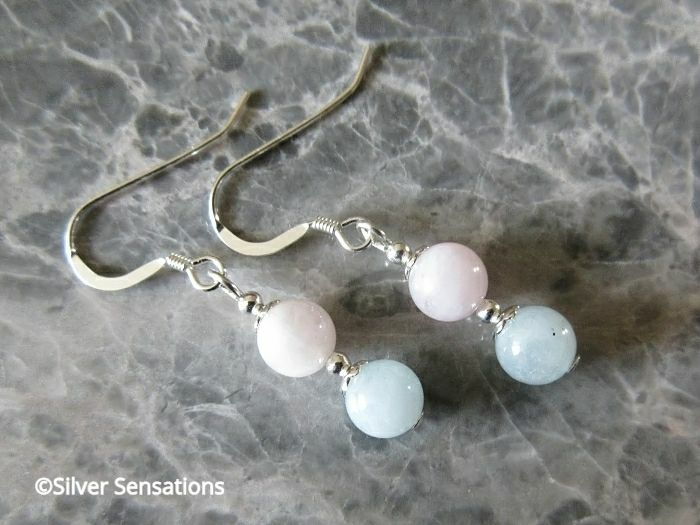 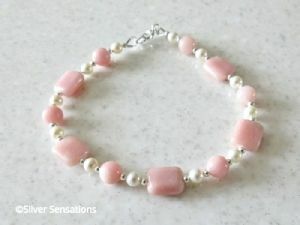 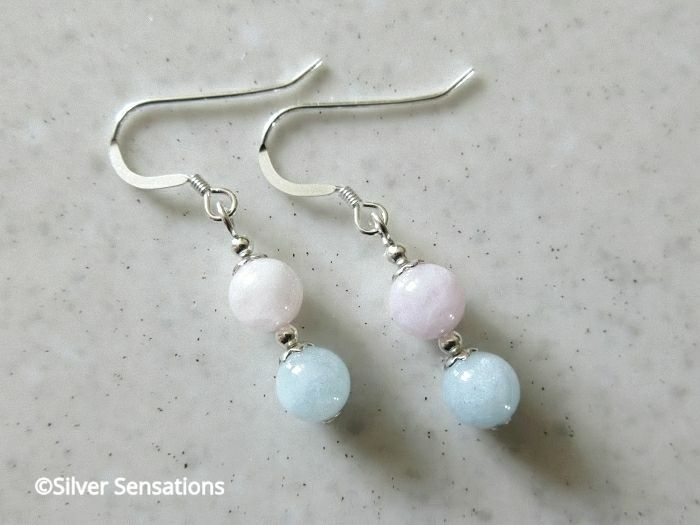 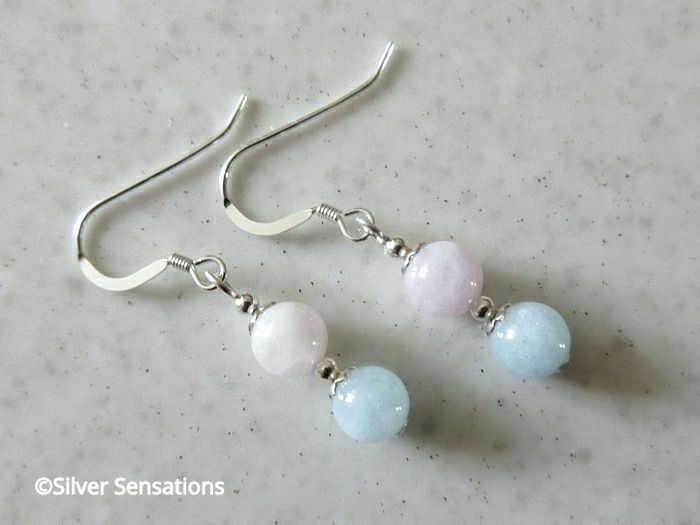 For these uniquely designed handmade ladies earrings, I chose beautiful & natural pastel pink & blue Morganite 6mm round beads. 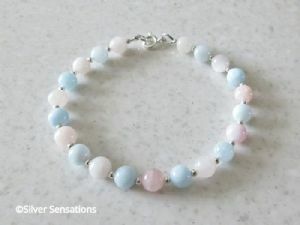 Sitting on top of each of these pink & blue semi precious gemstones is a pretty Sterling Silver flower shaped bead cap & small Sterling Silver seamless round beads. 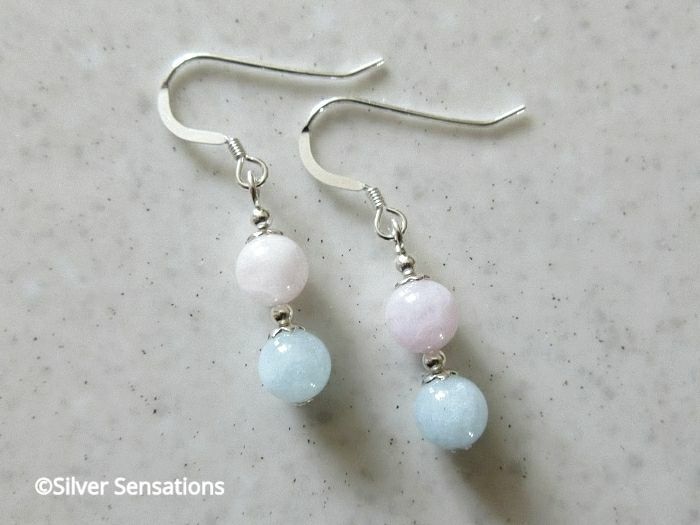 These very feminine & easy to wear earrings have a drop of 25mm and hang from strong Sterling Silver headpins & high quality ear wires. 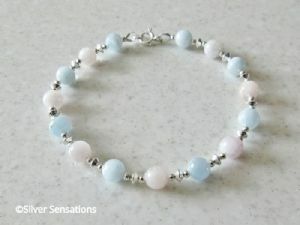 Of course as these are natural Morganite semi precious gemstones, each bead does vary in shade. 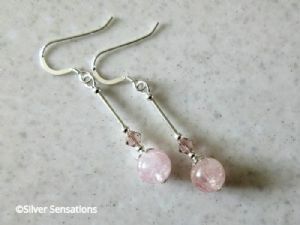 However for each pair I will ensure that they're as close to this image as possible.